Hi! This is my handsome boy, Charlie. <3. 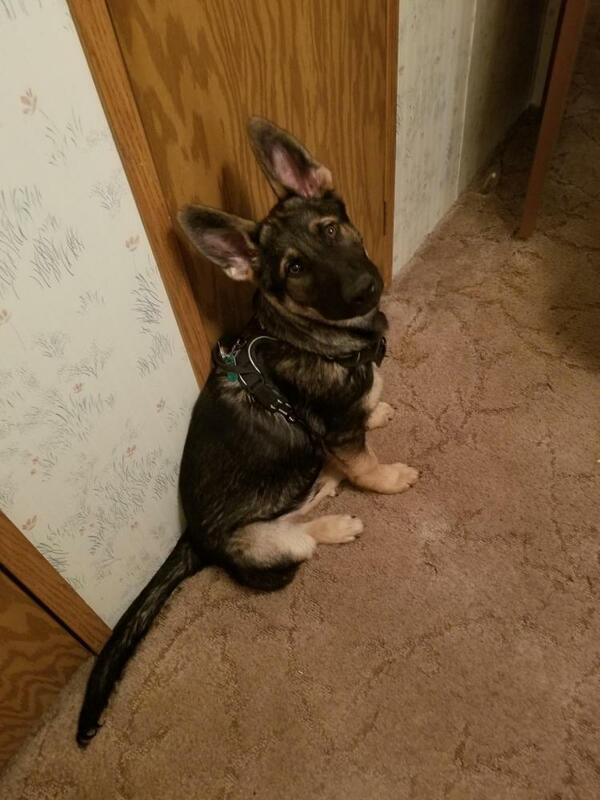 He is 4 1/2 months old. crittersitter, Sabis mom, GSDchoice and 2 others like this. Handsome boy. Welcome to the forum. Such a cuty, welcome aboard! Looks like he's gonna get into some trouble!! Thank you! Charlie get into trouble? Never! Lol! Charlie is just too cute!